We love and appreciate vinyl. We love that it's heavy and bulky and that you can hold it in your hands. We love that vinyl stands the test of time and is quite resilient. We love the large bold color of the record jackets. 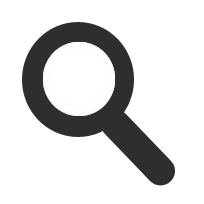 We love obscure artists and labels, and the non-mainstream music they represent. We love finding the secret and unknown tracks that are often only released on vinyl. And vinyl sounds better than CDs or computer files. It will persevere because records are much cooler than CDs or MP3s! To this end, 99.9% of the items we sell are 12" vinyl original pressings, most of which are hip hop, house, funk, electro, and R&B. You may find a couple 10" records, but you'll find only a few 45s, no CDs, or files here! Love your music again, and find what you have been missing here at Metrowax! IN THE FALL OF 1999, Metrowax Records was formed from a rather large apartment in the Uptown area of Minneapolis, Minnesota. Current owner "Whiskey" aka "Made in the Shade" Wade Schilling teamed up with former partners Jason "The Commish" and DJ Roko to create a record label and online store. THE FIRST COLLECTION, obtained in the fall of 1999 by Jason and myself, was a rare mix of 1980's and 1990's hip hop and new jack swing, and was acquired not far from our Minneapolis location in Milwaukee. About 6,000 records in milk crates were hauled down two flights of stairs into a small U-Haul trailer attached to a 1993 Chevy Blazer. Once the trailer and Blazer were filled, we left giddy. Happiness turned to worry quickly, since we didn't even get to Waukesha before the Blazer started whining and overheating from the weight of all that vinyl. We needed to let the truck cool down, so we stopped to eat at a Rocky Rococo's restaurant there, and while waiting for the food, popped open the trailer on the U-Haul to examine our "haul". After quickly finding mint copies of Pharcyde - Bizarre Ride II, Ice Cube - Death Certificate, Too Short - Short Dog's in the House, Outkast - ATLiens Instrumentals, and a host of rare west coast twelve inchers (interestingly enough considering it was from Wisconsin), I knew we were going to do very well with this first major buy. The trip home took a long time at a maximum speed of about 50 mph, but the records arrived back in Minneapolis safely. The Blazer died shortly thereafter. In late 2000, The Commish sold his stake in Metrowax and took a trip overseas, and current owner Whiskey Wade took over operations. 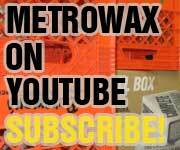 METROWAX FROM 2001-2004 was a time of learning e-commerce and the record business, and more importantly acquiring great collections at a rate of at least one every few months. Some of the places we bought from include New Orleans, Oakland, Los Angeles, Orlando, Baltimore, Minneapolis, Atlanta, Chicago, Texas, New York, and Canada. 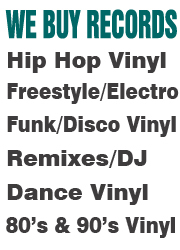 We were solely focused on acquisition of hip hop, R&B, funk, soul, and reggae, only on 12" vinyl. We were quickly loved by many music lovers worldwide. Our solid execution of orders was never a problem, but back then we used to hand-write all of the addresses on the boxes! During this time we acquired about 80,000 records and most of them were owned by former DJs and musicians. STARTING in 2004, Jason got back in the record business. A no-competition clause was initiated, though it did not prevent arguments on who gets what. The most fought over genres were freestyle, electro, miami bass, and old funk, soul, and disco records. But in short, Metrowax was to remain focused on hip hop, reggae, and R&B, and Jason was to focus his efforts on house, trance, techno, breaks, and disco music. 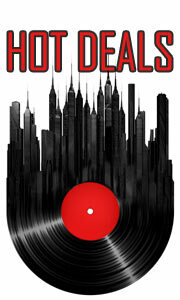 It was during this time that we combined our buying power and acquired collections from Hot 97 NYC, Kenny Dope, Roger Sanchez, Benji Candelario, DJ KJ, and the late great Chuck "The Jock" Davis. The traveler in Jason refused to be quelled however. He decided to make a move and is now pursuing a second career in Norway. In a strange twist of fate, Wade bought out Jason's record business a second time in the spring of 2007, which at that time gave us somewhere in the neighborhood of 250,000 records! The Metrowax stocks were blessed with massive and great collections from Italy, London, and Canada, and a lot of nice wax from the home country as well. Added was a great selection of house, progressive, trance, techno, and breaks music, many new wave, electro and synthpop, classic disco, rare boogie and funk tunes, remix services, and records from Jason's "personal" collection, and we are now stocked for years (maybe decades) to come! The Metrowax family consists of advisers, former partners, and current employees like rchecka, Joey, DJ Mumra, Sarah, Kara, Seth, Deb, Jai, Jeff and his crew, Travis, Aaron, Andy, Dean, Chris "BC", Alex, Toad, Kirk, Chuck, and Merle. Many of us are either current or former DJ's, producers, and/or artists, and generally music (and especially vinyl) fanatics, while some of us are just helping out in one way or another. Have a great time digging in the "online" crates! !